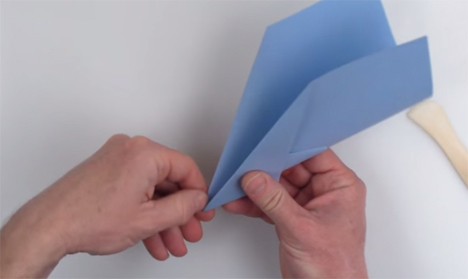 Folding and throwing paper airplanes is an indisputably fun hobby, but it’s frustrating when you can’t get the folds quite right and your plane sinks rather than sails. John Collins holds the Guinness World Record for designing and folding the longest-flying paper airplane, and he has made the design available to the world. The airplane design is called the Suzanne, and she’s a serious beauty. In the below video, Collins demonstrates how to fold your own Suzanne from beginning to end. 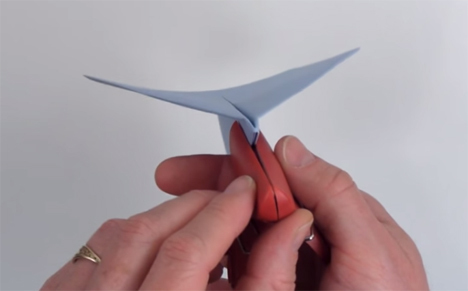 Using nothing more than a piece of paper, a creasing tool (which you can either find at a craft store or simply use a ruler or other hard-edged object) and a chip clip, Collins shows the folds that make up the world’s longest flying paper airplane. The video above shows the Suzanne in its history-making flight. While your homemade version might not be quite as impressive as Collins’ creation, it’s bound to be way better than the ones you used to throw at your high school algebra teacher’s back.